Why we don’t us Lacquer to paint or refinish cabinets, and why our products are the best in the business. When discussing the topic of what type of product to use to paint cabinets, there are several options to choose from. Lots of kitchen remodelers, painters, contractors, and builders use lacquer. This is a cheap and fast way to get the job done. If done well, it looks good when finished. But, our goal isn’t just to give you a good looking cabinet when complete, but one that stays great looking for long term. The Lacquer process is fast, cheap, and easy. It dries to the touch in 20 minutes. You can apply a second coat as soon as the first coat is dry to the touch. It will get as hard as it will ever get in 24 hours. Our products take 5-6 hours to dry to the touch. It takes 16-24 hours to become fully dry and ready to be available for a second coat. Our products continue to harden for 30 days (vs. one day for lacquer), then will be fully cured. 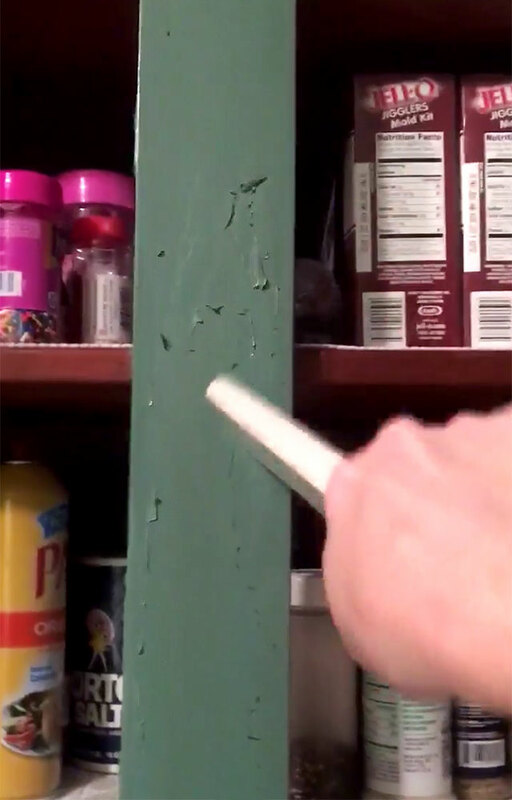 “Cured” is a term used to note when a paint product will get as hard as it will ever get. Within months, your lacquer finished cabinets will start to show signs of wear and tear. These will become very prevalent in areas around your sink and stove and other heavy working areas. It won’t happen from abuse or being mistreated, it will happen from your normal daily usage of the cabinetry. 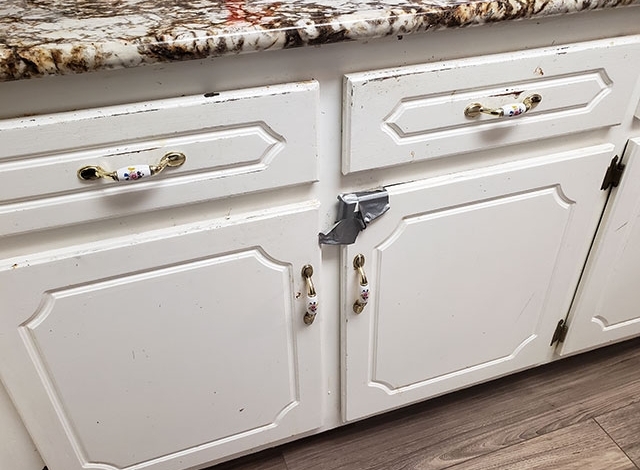 Even around your cabinet knobs, where your knuckles may simply rub the cabinet face, you will have rub offs, chips, peeling, etc. Let’s say you are going to have someone install a fence in your yard that you want to stand tall and sturdy for years to come. One professional says that to prep the area, and install, it will only take 1 day. Another professional says that because of the conditions and characteristics the fence will deal with over time (wind, rain, etc.) he needs 30 days to prep the area and install, making sure your fence will not only look good when done, but stand tall and firm for years to come. Who would you rather go with? We know that your cabinetry will not experience wind and rain. But cabinets do get daily usage. Painting or refinishing your cabinets is 100% different than painting anything else in your home. 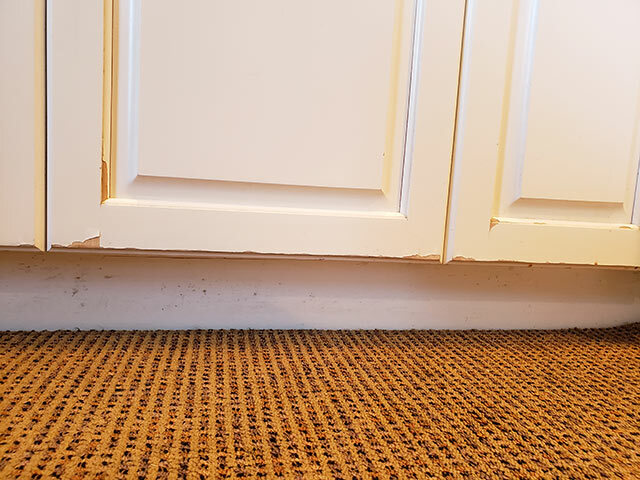 Cabinets endure spills, water, bumps, dings, and more. You want to ensure that you have not only a good looking cabinet, but a strong, durable cabinet. Your comfort level with the person you would be working with. Trust level. Credibility. References of past clients. Do they warranty their finish against chipping and peeling? WE DO. The time table that the job will take. Something too quick means it won’t be prepped or done correctly. On the flip side, some builders or contractors can lead you on for weeks or months. They will collect their deposit from you, take cabinet fronts off site, and then show up weeks or months later saying they got “backtracked”. Process and materials used. Doors and drawers need to be taken off site, not done on site. The cabinets need to be cleaned correctly and sanded. A high adhesion primer coat is necessary for a long lasting finish. Sanding and a proper clean up between coats is needed. Dry and cure time is necessary before transporting fronts back to your home for install, etc. 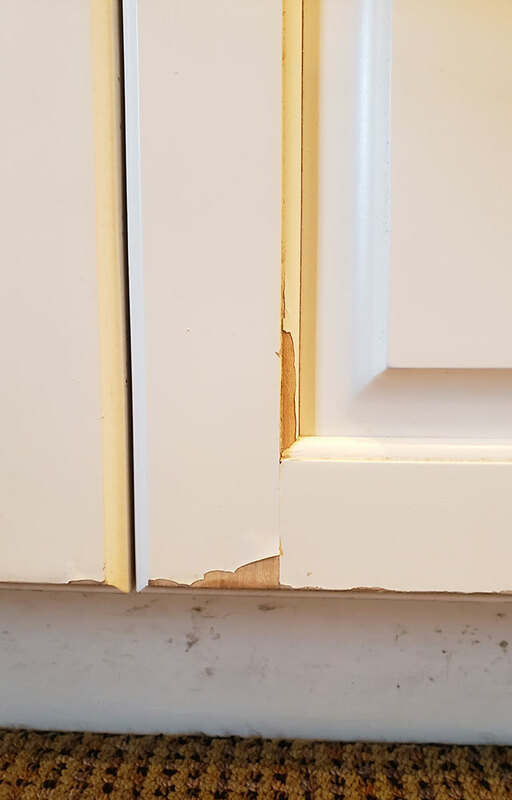 Lacquer products have come a long way over the years, but we still see the same issues on cabinets that were installed this very year. 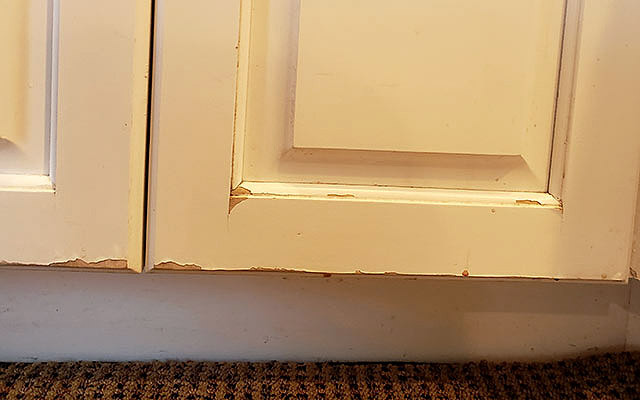 Even if cabinets are cleaned, done with multiple coats, problems will still occur. We are constantly called to come redo a set of cabinets that someone had refinished or painted in recent history. We warranty our finish because we know we give a long lasting, durable cabinet. We stand behind our finish and have for 27 years. Our products are the hardest drying, most durable, easiest to clean products when complete that are on the market today. We stand behind our finish and processes. We are a family owned company that has put generations of work into a cabinet legacy that we are most proud of. Build a fence to last 1-2 years if you desire, but we want to build you a fence that lasts for decades.